In the new book The Change Makers, the University of Melbourne's Professor Marcia Langton says leadership is doing the right thing at the right time. The University of Melbourne is partnering with the Yothu Yindi Foundation to build a reconciliation culture for Australians - supporting Indigenous development. The Storm exhibition and symposium, hosted by the University of Melbourne, highlight a profound connection between art and nature, intention and accident. Reading a good book recommendation can be a true gift - here's Part 2 of our recommended reading list from University of Melbourne experts. What does strong political leadership in Australia look like? The University of Melbourne and the Susan McKinnon Foundation launch the McKinnon Prize in Political Leadership, honouring outstanding Australian politicians. 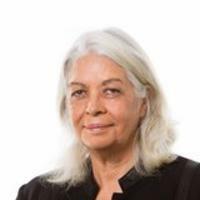 Professor Marcia Langton from the University of Melbourne on Indigenous activism, the positive impact of land rights and the Australia Day debate. The University of Melbourne's Professor Ian Anderson's determination and upbringing has earned him the Order of Australia for his service to Indigenous Affairs. Time to take stock of Closing the Gap and focus on gaining traction on the ground – University of Melbourne Indigenous Affairs experts have their say. Stan Grant, in this edited extract of his 2016 Narrm Oration, reflects on the rise and rise of a prosperous and professional Indigenous middle class. A US$50 million investment in societal change by Atlantic Philanthropies will create a new Leadership Fellowship program run by the University of Melbourne.